WhatsApp is one of the top ranking social media network which has over 5 billion users, it is regarded as the most secure social media to share anything without anyone invading or prying eye on your messages (end-to-end encryption). WhatsApp has gotten the name for itself, maybe because of the privacy embedded in it. Recently, WhatsApp seems to be lacking behind because of some certain required features which is not in it, hence GB WhatsApp has taken over the lead. GB WhatsApp is an app which works exactly like WhatsApp but it's not affiliated with WhatsApp Inc. This WhatsApp provides its users with plethora and tons of features which is not to be seen in WhatsApp messenger. If it were for me to decide, I would have concluded that GB WhatsApp is just a BETA version for WhatsApp — but unfortunately, it wasn't. For WhatsApp messenger itself, this feature is not available in it. Hence, it is only possible when you use a third-party application like status saver to download it to your phone. Thus, it is never like that in GB WhatsApp, the video or image status saves immediately when you're watching them thereby saving you the data of downloading it in your device. SD card, then scroll down to locate GB WhatsApp folder. Click on Media and now tap on the option button and enable Show Hidden Files. You'll see a folder name with .Statuses click on it and you'll see both Video and Image Status saved in it. For you to be able to make it open and for it to appear on your gallery, you need to move those images and videos out to another folder. Unfortunately, we are only allowed to pin only three posts using Whatsapp messenger but using GB WhatsApp, you can pin as much as you want. The issue of not being able to share apps on WhatsApp seems to be one of the worst problem WhatsApp users faced back then. Earlier this year, a trick on how to share apps and other files on WhatsApp came out which most of the users adopted immediately — fortunately, it was working fine for everyone until the feature of sending app on WhatsApp was introduced to GB WhatsApp. The good news now is that both GB WhatsApp users and WhatsApp messenger users can now share apps to friends and family, to do this, head-over to your file manager and locate the app you want to share => Press & hold the app you want to share until you'll see about three or four options (depending on your phone type) => Tap on the share button => Scroll down and find WhatsApp then tap on it => Finally, choose the recipient you want to send it to and it's done. WhatsApp itself (both GB WhatsApp and WhatsApp messenger) reduces the quality of images we share on WhatsApp and also adds background to the images we sent "if it's transparent image". On the other hand, WhatsApp messenger allows a maximum of 30 multimedia to be sent at ones while GB WhatsApp allows its user to choose 100 multimedia files at a time. Anyways, for you to be able to share the original image or video content then follow the steps below: Open your WhatsApp => Open the recipients chat => Tap on the Multimedia icon and select Document, from there you can be able to access your files via WhatsApp. However, if you're unable to find the image or video you're looking for then go-to your file manager and move the image or video to your Download folder then try again. It feels bad when you are chatting with someone or group of people you don't have the same language with or at least have a common language with (English), for you to understand what he/she/they said then you need to make use of Google translator which is bad to be used in a chat because you cannot be able to copy each and every word the person said and paste it in Google translator before you can be able to understand what he/she/they is "are" saying. Being honest with you, this is very stressful and without understanding what he/she/they is"are" saying then it'll make you to loose the urge of chatting with the person due to language problem. However, GB WhatsApp has provide its user with the feature of making use of the translator thereby making communication easier. Locking Group or Personal chat is only to maintain your privacy and not allowing your nosey friends from reading your chats, Unfortunately, this feature is only available on GB WhatsApp. To apply this feature on your GB WhatsApp, simply open a chat with your friend or open a group => Tap on the three vertical dots located at the top right corner of the screen => You'll see Lock Chat, tap on it and setup your security pin or pattern. Click here to learn more about this feature. This feature is also to improve your security and maintain your privacy, hence this feature will give only the user/owner the right to be able to locate the chat. Also, no one will come to know that you're in a group or chatting with someone privately. To enable this feature, Open your GB WhatsApp => Press & Hold the group (s) or person (s) you want to hide => Tap on the three vertical dots located at the top right corner of the screen => You'll see Hide, click on it and Set-up your pattern lock after which it'll be hidden. Tap on the WhatsApp label written at the top left corner of the screen to locate the hidden private chat or group chats but at first you need to draw your Patten lock so as to be able to access it. Still not clear to you or needs screenshots as backup to set it up? Check here. Have you ever wanted to send image or video to someone but it is not in your device? No worries, GB WhatsApp ghat you covered. With this feature, you can search what so ever image or video you're looking for and send it to the recipient directly. This feature also makes use of artificial intelligence and it's bot to be able to collect images and videos from the Google search engine. It's very clear to us that WhatsApp only has two call mode (voice and video call) which only allows you to communicate with your friends via WhatsApp only using your data plan. However, it is not so in GB WhatsApp, GB WhatsApp provides three platforms for calling (voice call, video call and phone call). The third call platform (phone call) allows you to contact your friends using your airtime which can also be of use to you when you're in search of the contacts in your phone, thereby making it easier for you to locate and contact the person. Do you ever think that you can schedule your WhatsApp messages? oh yes, this is possible on WhatsApp messenger with the aid of a third-party app but with GB WhatsApp you can schedule your messages without installing any other app on your phone. 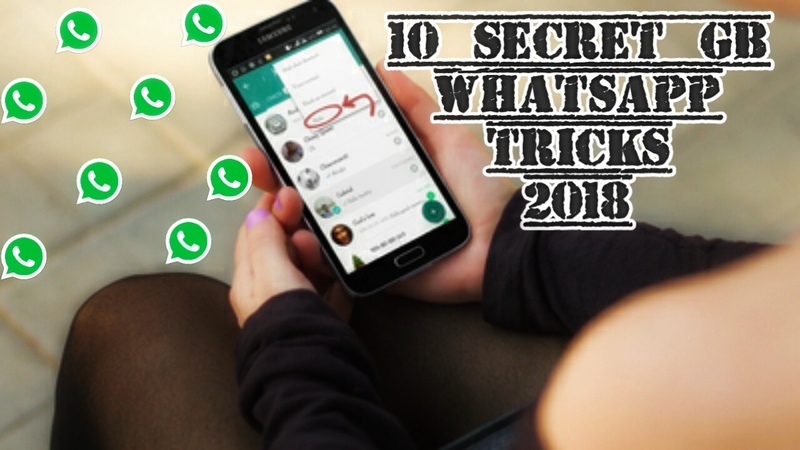 The above are the 10 hidden tricks in GB WhatsApp you should know. Do you think that there's more to be added in this write-up? please do interact with us via the comment box.